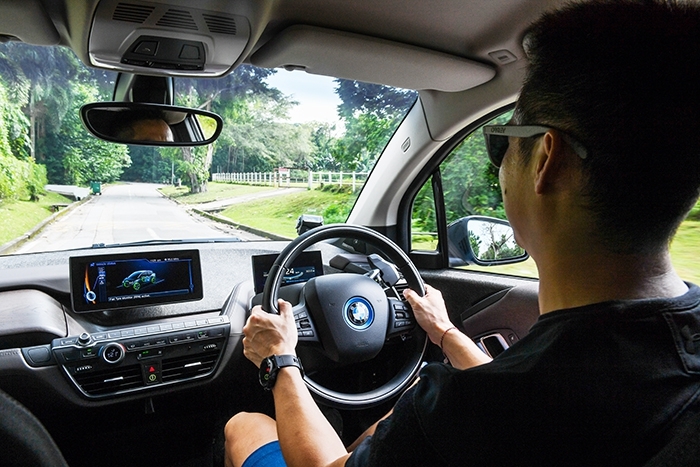 SINGAPORE - By now, you’re probably sick of us waxing lyrical over the BMW i3, so we’ve decided to spread the love around. The person had to be a big enough tech geek to look beyond the i3’s love-it-loathe-it styling, as well as a dyed-in-wool petrolhead broad-minded enough to give the little electric-powered tyke a shot, particularly because you have to scratch a lot deeper to discover the i3’s party tricks. 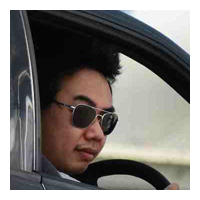 We have to give our pal Yuey Tan a “thanks mate!” for pulling our short straw and partaking of the i3’s jollies. 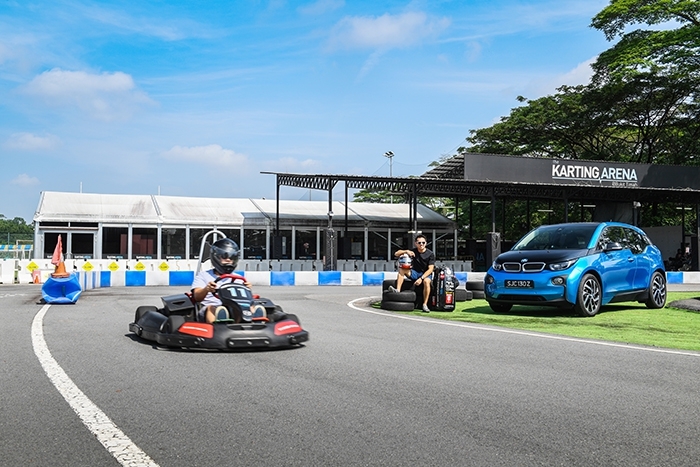 If you don’t already know, the high-energy Yuey races for Team Jebsen in the Porsche Carrera Cup Asia, is a huge fan of old Porsches, and even runs his own kart-track (The Karting Arena) populated by fully-electric gokarts, so he’s not just familiar with going fast in petrol-powered race-cars, but also the brutal, on-demand torque of electric vehicles. If all this doesn’t make him a ripe candidate for our i3 appreciation session, we don’t know what will! 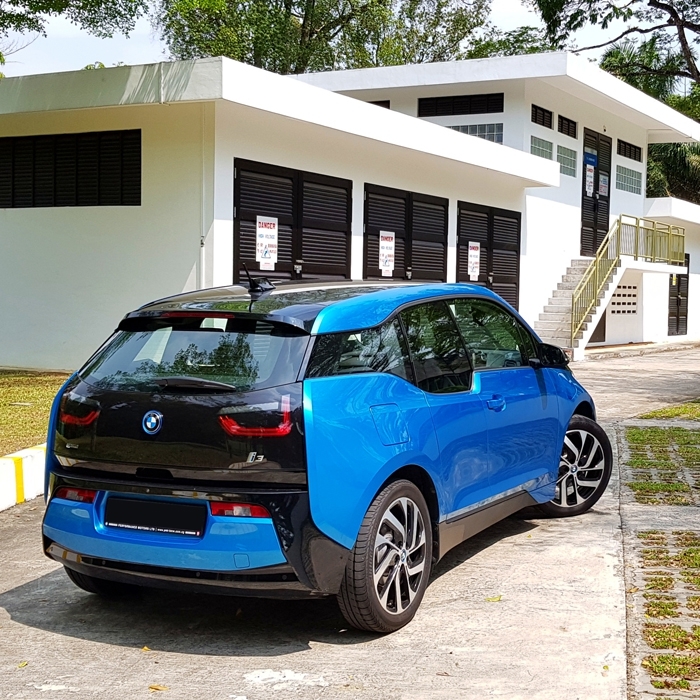 Yuey last tried the 60Ah i3 a few years ago, but the latest 94Ah iteration (with Range Extender for peace of mind and a range of close to 300km) promises a longer range and more compelling utility than before, especially as a city-commuter, but there’s no reason why one should be restricted to just Singapore travel – long-time readers would have seen we drove it up to JB for a day of ‘Meals & Wheels’ some issues ago, because well, Malaysia has a whole lot more public Type 2 charging facilities than Singapore. 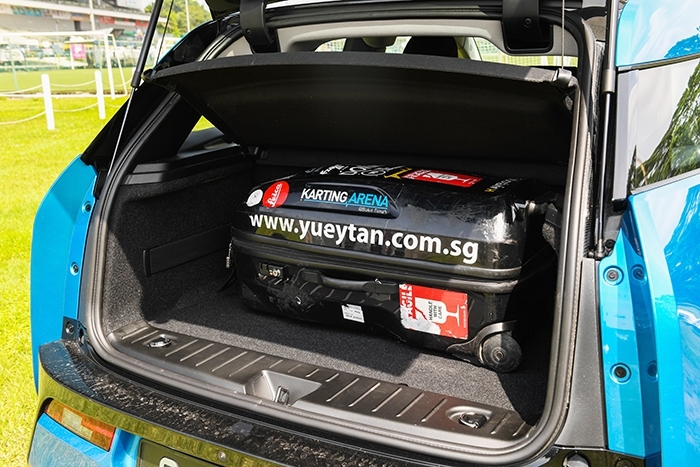 Despite the long interval since his last stint, Yuey takes easily to the i3’s operation – as they say, it’s like riding a bicycle; once your muscles have learnt how-to, that knowledge stays with you forever. 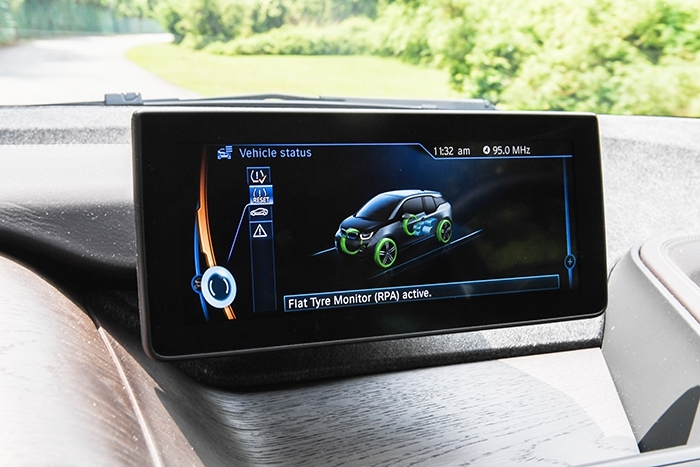 The plug-and-play nature of the i3 is mirrored by the ease in which it segues seamlessly into real-life. 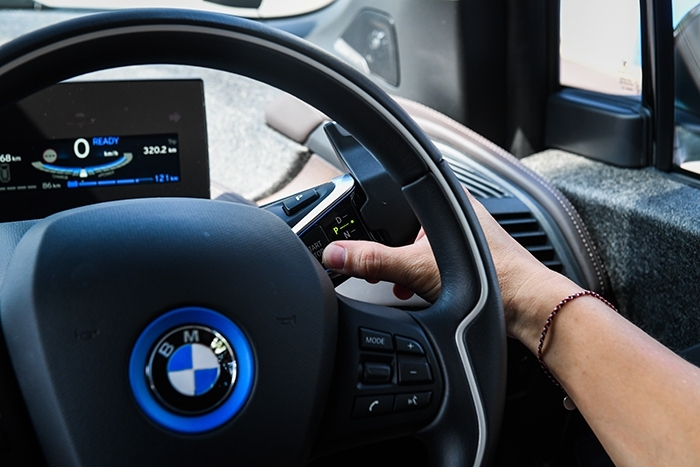 The reality is, something like the i3 isn’t “just another car”, because it represents a huge paradigm shift in mobility that you need to be prepared to embrace – also, and rather obviously, it has to suit your lifestyle. 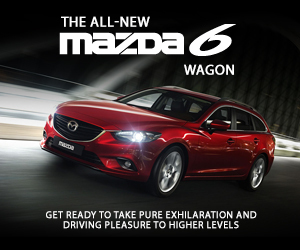 Although it could serve as only car in a single-car household, it also works well as a city runabout for folks with special sportscars in their garages that can then be reserved for proper drives. In the case of the i3, it may be an 8secs car from standstill to 100km/h, but the 60km/h sprint, or city-friendly speed, is dispatched in just 4secs flat, which is plenty sufficient to dispatch many ICE (EV-speak for Internal Combustion Engine) contenders, with little effort we should add, not that this should be the whole point of the i3. 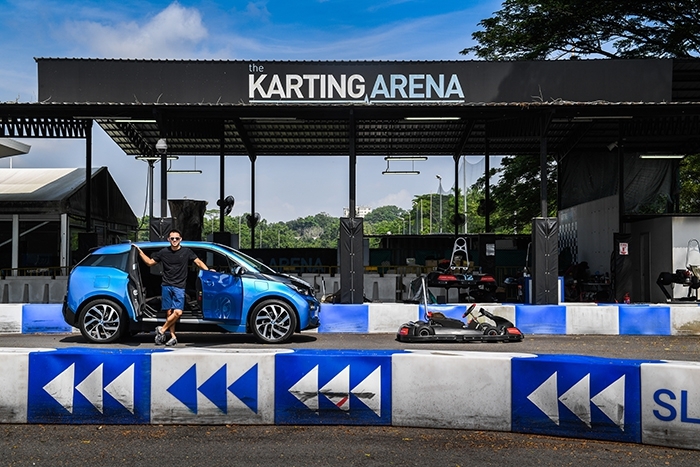 Yuey continues, “After they get in and take a few laps around the track, they realise the ‘racing’ experience without the sound is something you quickly get used to, and folks find they can focus on the driving and fully enjoy the electric power.” The i3 faces similar issues, because there’s a lot of talk about electric vehicles and going green, but very few people have actually had a chance to experience it first-hand, so getting bums-in-seats take priority – after that, it’s usually down to price and preference. With a kid on the way for Yuey and the missus, ‘eco-consciousness’ is no longer just a catchphrase, but has to become a way of life. 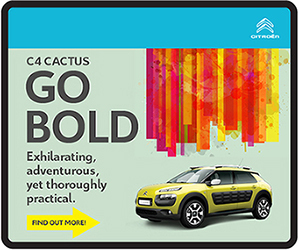 Of course, we’re no saints, nor do we pretend to be, so the sportscars in the garage are still reserved for special occasions – in Yuey’s case, this involves early weekend morning blasts in his nat-asp V8 machine up North on sinuous B-roads to enjoy his favourite beef noodles. “Experiences are always extra-special when you don’t have them all the time,” he explains.